Frank Ocean's Blonde has been work. 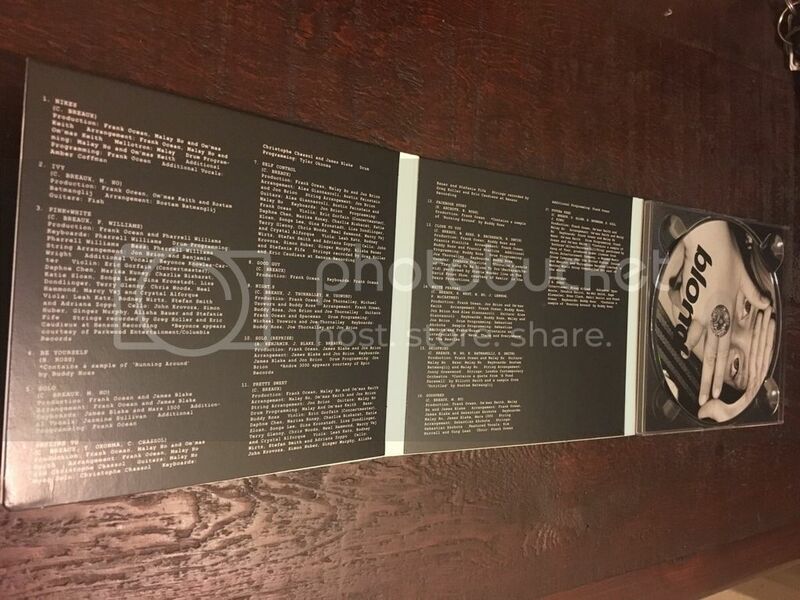 First, we had to wait for the music, then the list of collaborators and now we're finally getting a look at the liner notes thanks to the first physical copy of the album. A Reddit user bought a physical copy during a surprise Black Friday sale and uploaded the liner notes for us to take a look at. Kanye West is listed as a co-writer for 'White Ferrari.' James Blake has production and arrangement credits on 'Solo,' 'Solo (Reprise)' and 'Godspeed.' Beyoncé is the background vocals on 'Pink + White.' And Dirty Projectors singer Amber Coffman helped with vocals on 'Nikes.' Take a better look here.